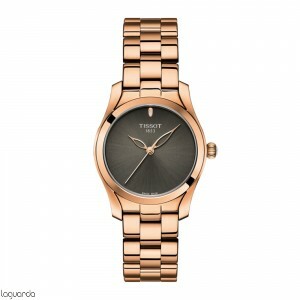 Tissot T-Trend T-Wave Lady, official agent of Tissot, updated catalog of official prices in Barcelona. 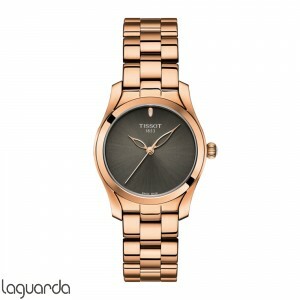 Discover the collection of watches Tissot T-Wave is a beautiful piece inspired by women. 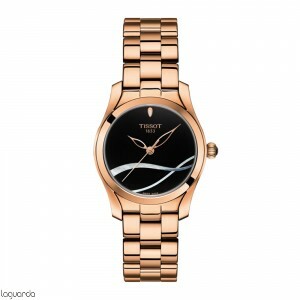 The lines of the case design and curved glass flow make it perfectly suited to the delicate female doll enhancing its subtle beauty. 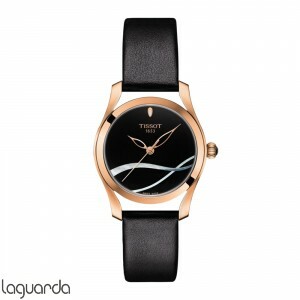 Presents sophisticated details such as needle-shaped petal, evoking aquatic flowers in its design is inspired; or instinctual formations subtle form of T.
This collection of square box has several models available, perfect for times and styles that women want. 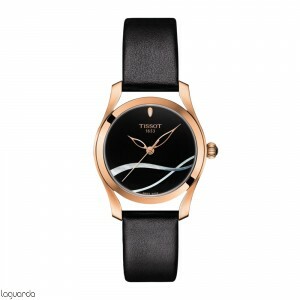 Trend bet most of this collection, with burgundy leather strap, its most notable feature. The dial white shell, the stainless steel and its subtle indices are perfectly.